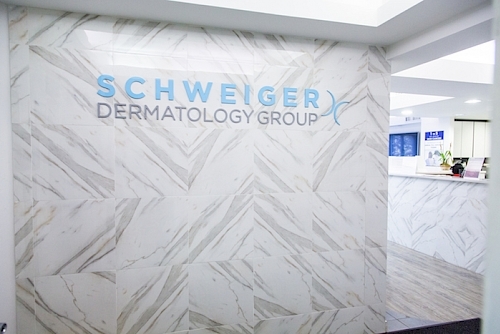 Schweiger Dermatology is proud to serve the Yonkers area with a new office. After growing our thriving cosmetic and medical dermatology practice in New York City, we are excited to serve the Southern Westchester community. Our Grassy Sprain dermatologists specialize in both general and cosmetic dermatology, making Schweiger Dermatology in Grassy Sprain a one-stop shop for all of your skincare needs. Why Choose Schweiger Dermatology Grassy Sprain? Under the direction of top-notch dermatologist Dr. Eric Schweiger, the entire staff in our Grassy Sprain dermatology office has been hand-picked for their outstanding experience and extensive knowledge in the field of dermatology. Just like our Manhattan offices, our Grassy Sprain dermatology office offers state-of-the-art technology and equipment. We pride ourselves on being at the forefront of dermatology and use only top-of-the-line laser and light machines as well as the most effective and current dermatological techniques. When you are looking to get any type of cosmetic dermatology treatments, it’s crucial to seek out dermatologists who have garnered years of experience in this area. Our Grassy Sprain cosmetic dermatologists specialize in the treatment of Botox, dermal fillers, laser and light treatments as well as chemical peels, Thermage and Ultherapy. Our dermatologists have graduated from the top medical schools and residency programs in the country. All of our providers have had extensive training and many years of experience in cosmetic procedures. You can feel safe in the hands of our Grassy Sprain dermatologists. If you are suffering from acne, you’re not alone. Over 50 million people in America have to deal with acne. Our Grassy Sprain dermatologists are among the top acne experts in the New York area. Trained by acne specialist Dr. Eric Schweiger, our providers use an arsenal of laser and light treatments, prescription medications, and other cutting edge procedures, to clear up your complexion as quickly as possible. We are on of the only dermatology offices to offer continued care and guidance in the treatment of acne.